Authentic second-hand designer goods can be difficult to find. I recall a time many years ago, finding a Burberry bag in a second-hand charity shop. First impressions suggested said bag must be legit because the $$$ price tag suggested so and the pretty piece sat behind locked glass doors. I asked to take a closer look at the bag, but soon realised the Burberry was not all as it first appeared. A quick Google search proved the bag to be a Fake McFakey. I couldn’t blame the hard-working op shop volunteers who wouldn’t know any different. Sometimes though, it isn’t as easy to spot a fake. Apparently, authenticity is a real problem when purchasing pre-owned designer goods. 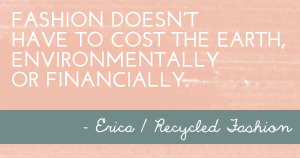 This applies to dresses, hand bags, shoes or any other designer piece. There are fakes and copies of designer goods in circulation. The question remains; how do you know what is real and what is not. 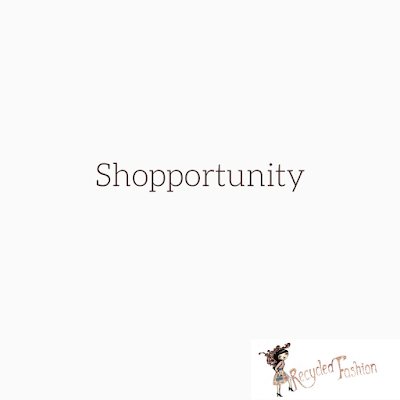 If pre-loved designer fashion is your preferred choice of wear, consignment stores are your best bet. But is there a guarantee that what you buy from a consignment store is 100% legit? Not always. That said, there are some consignment stores who take authenticity very seriously. 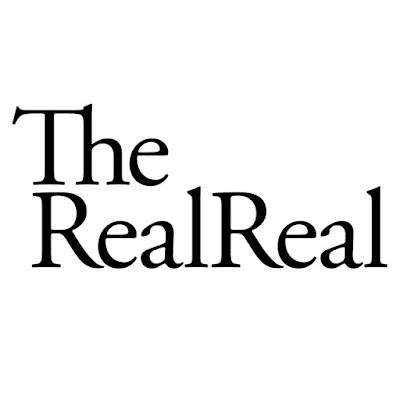 The RealReal for example, is one such luxury consignment start up, with a bricks-and-mortar store in Soho, NY. 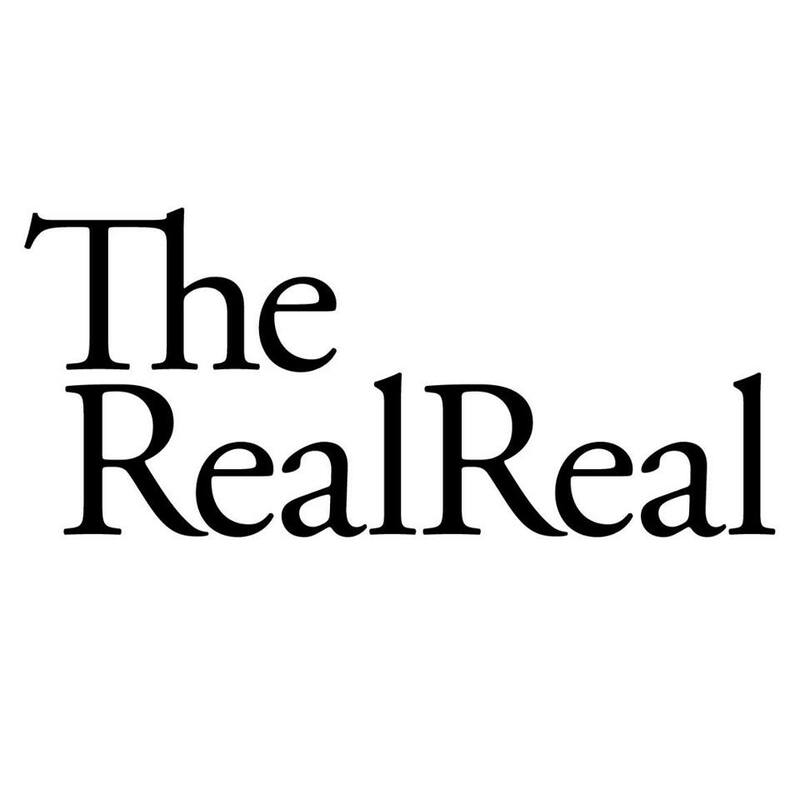 The RealReal employ designer goods experts who verify each item as authentic before it is placed for sale in their consignment store or online. Independent experts who know a designer fake from a genuine piece. 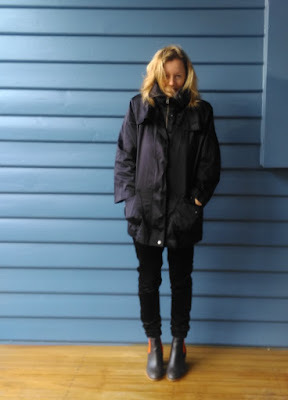 The RealReal is the work of Julie Wainwright. 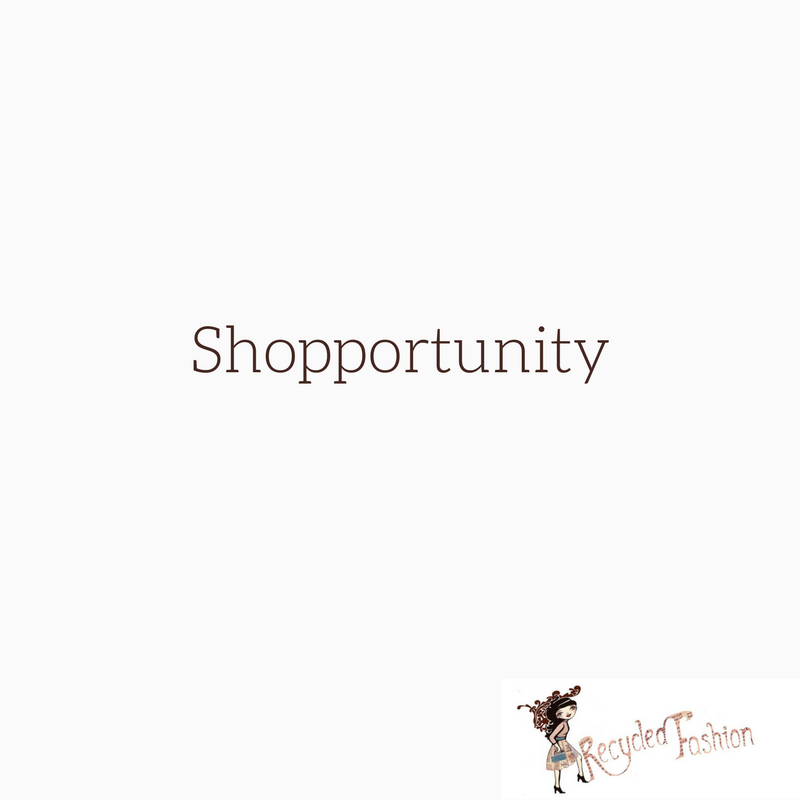 She saw a need for a pre-loved designer fashion store that focuses on authenticity. 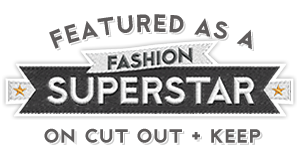 The key to Wainwright’s success with RealReal is the ability to guarantee the sale of legitimate designer pieces. Fake items in the luxury market are commonplace, and so to say that each item sold is bona fide designer, whether either online or in-store, is the key to Wainwright’s success. Wainwright employs experts who spend considerable time examining each item before it hits the shelf. The reputation of the business is at stake, and designer authenticity in this case, goes a long way. Wainwright has been able to secure a whopping $100+ million to finance her brand. This has enabled her business grow and move into a physical store from The RealReal’s previous online-only presence. Some pre-loved designer pieces are better seen in person. While The RealReal is a relatively new concept for both sellers and buyers, customers are flocking to the store knowing they are buying bona fide luxury fashion for less. Designer authenticity is the key to The RealReal’s success. It's been a while since I've posted anything here on Recycled Fashion. I had a situation where the design of my blog went a little skew-whiff because of a problem with Photobucket backlinks. Thankfully, Meirav from Webby Web Design helped fix most of the errors and thus here I am, writing again for the old faithful. I've also been really really busy on side projects like KidTown Melbourne more on that here. 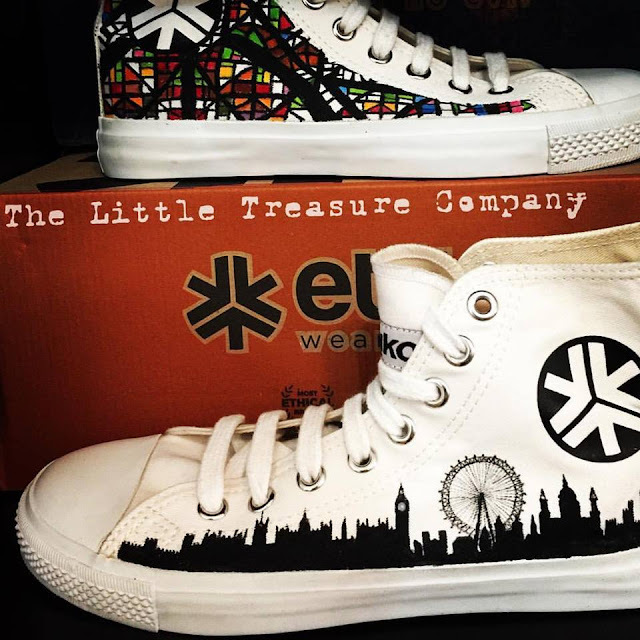 However, I'm back and what better way to revive the blog than to show you a pair of amazing shoes I recently won in a competition via Etiko. 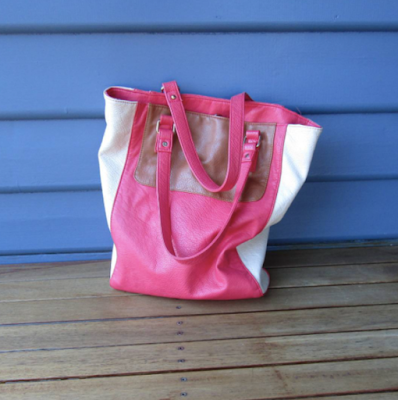 Etiko is a fairtrade, ethical clothing and footwear brand based in Melbourne and is "globally ranked as one of the worlds most ethical fashion brands." 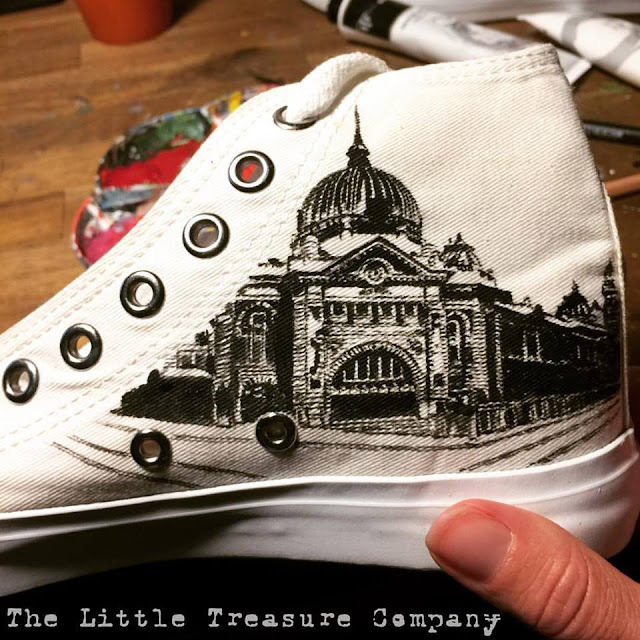 Etiko announced a competition to win a custom designed pair of Etiko kicks, to be hand painted by the very talented artist Claire aka The Little Treasure Company. 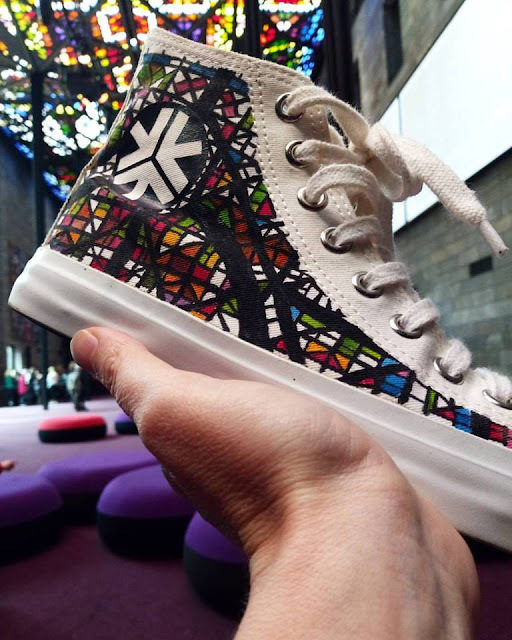 One shoe to be Melbournifed: the NGV's Great Hall Stained Glass Ceiling, a tram and Flinders Street Station. 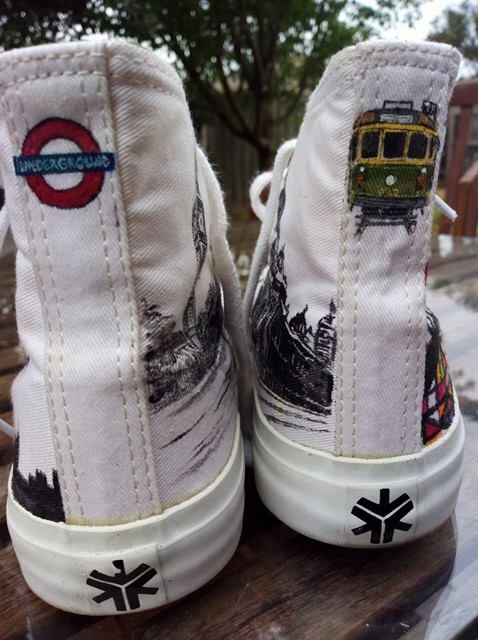 The other to be Londonified: city scene with Big Ben and a London Bus, plus a tiny London Underground sign on the back. I can't tell you how beautiful they are, almost too good to wear. So I thought I'd show you. 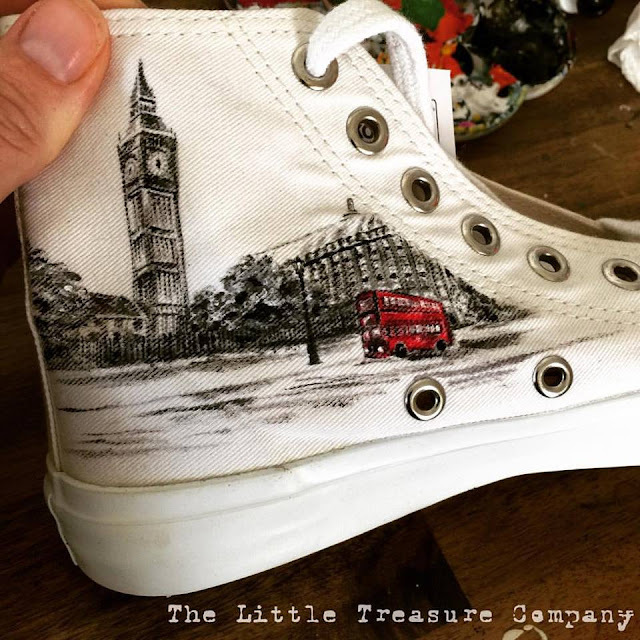 Thank you Etiko and thank you Clare (the artist behind The Little Treasure Company). A new crowd funding campaign popped up in my Facebook feed and really struck a chord with me. Tasini is a creative concept to make tiny (and very cute) fold up key rings to carry around and use as an alternative to the disposable plastic bag. Tasini: the key to break the plastic bag habit, is a collaborative effort of four individuals from the environmental initiative Making Oceans Plastic Free. 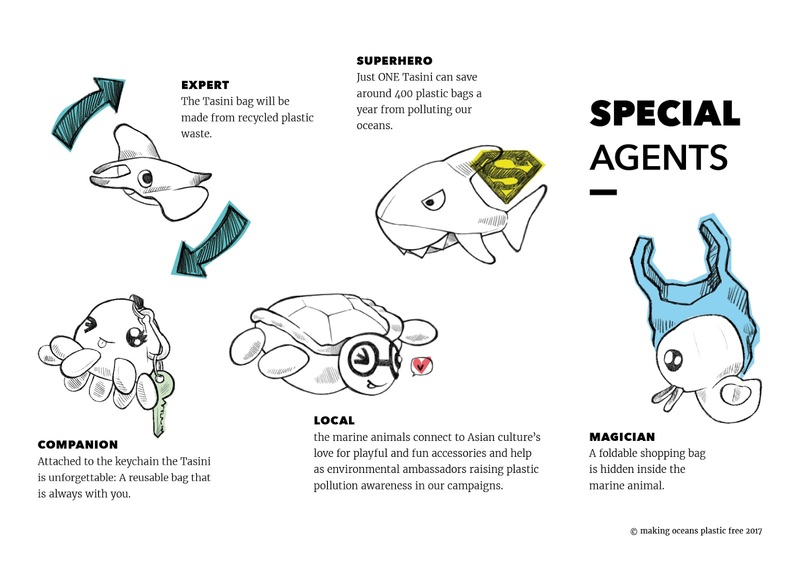 Together, the team has designed a collection of five marine animal key chains, each made with recycled plastic, with foldable reusable bags inside. The bright and colourful little marine animals open up into colourful bags for you to use when you're out shopping. The idea is to eliminate the use of disposable plastic bags, with the hope of keeping more plastic out of the oceans. 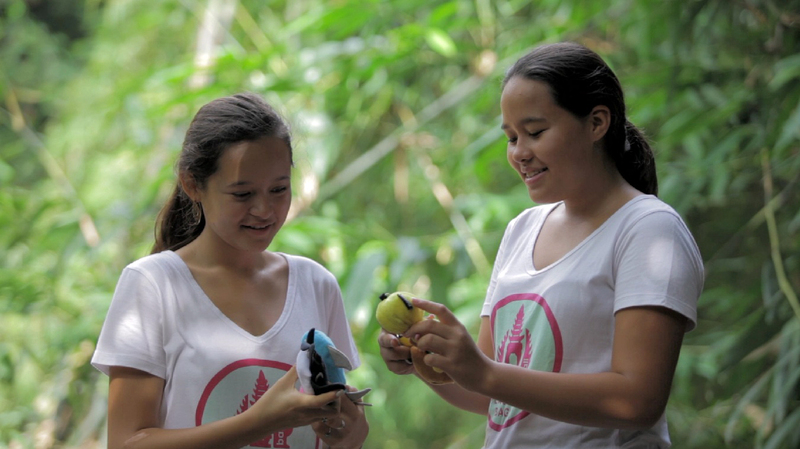 Help the Making Oceans Plastic Free team's concept become a reality. You can back the crowd funding campaign on Indiegogo here. You may remember that I am now contributing articles to Junkies Magazine Australia. The latest Junkies Magazine Australia is out now (Issue 9) and two of my articles are in it. 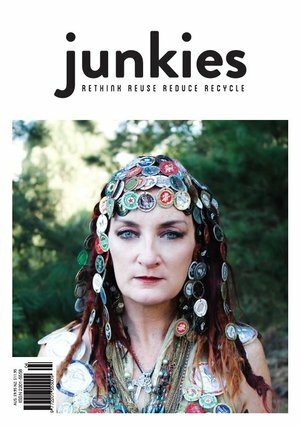 Junkies Magazine is an eco-driven print publication, filled with interesting stories related to the 'rethink, reuse, reduce and recycle' mentality. Junkies Magazine introduces people and brands who are following sustainable practices in a creative way. In the latest issue of Junkies Magazine Australia, I had an interesting experience interviewing Catie in Istanbul. Catie is the volunteer currently managing the Drop Earrings Not Bombs project. Drop Earrings Not Bombs is community-run imitative called Small Projects Istanbul; a volunteer organisation that focuses on providing education and support for displaced Syrian refugees. The community group weave bright coloured teardrop earrings, which are then sold all over the world and therefore generate an income for those who make them. Due to time differences, the entire interview with Catie took place via email questions and WhatsApp voicemail replies. Thank goodness for technology. The second article relates to a small business much closer to home. I delved into Zane and Manuel's Melbourne based business Melbourne Vintage Audio. Zane and Manuel scour the country for vintage bags and suitcases, and transform them into magnificent bluetooth Suitcase Speakers (V-Case). The article in Junkies Magazine Australia explains how Zane and Manuel's suitcases with soul concept became a reality in 2011, and how the business is booming 6 years later, in more ways than one. I'm also really delighted to see that I teed up Margaret Wells with Junkies Magazine Australia. 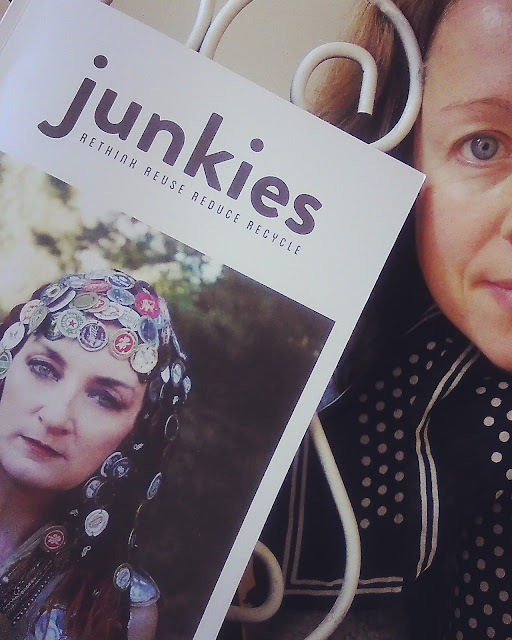 You'll notice Melbourne-based Margaret's bottle-cap headpiece and dress adorning the front cover of this edition of Junkies Mag! It's Father's Day coming up in Canada, the United States and the United Kingdom, and so I'm led to believe, in other parts of the world, too. I've never understood why Father's Day isn't celebrated on the same day in other countries that mark the occasion. For example here in Australia and in New Zealand, Father's Day falls on the first Sunday of the month, in Brazil the second Sunday in August, and Thai fathers are celebrated on December 5th! Father's Day fun facts seen here. Anyway, because Father's Day is celebrated in quite a large volume this Sunday 18 June and what with my own Dad living in the UK, I've been researching some unique gift ideas on Gifts Less Ordinary. Gifts Less Ordinary is a "one-stop marketplace displaying beautiful and memorable gifts to treasure." 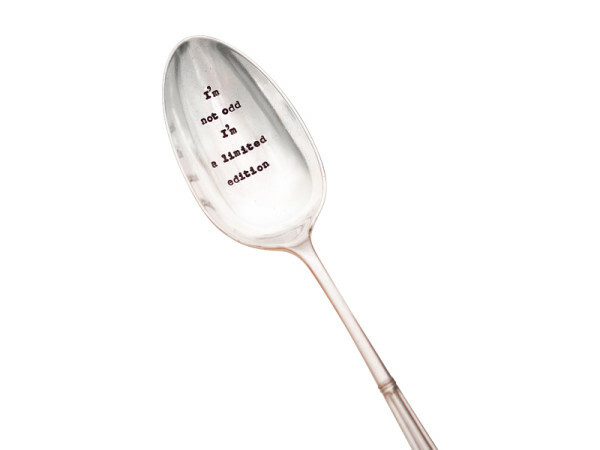 Many of the gifts available to buy via Gifts Less Ordinary can be personalised. If you're shopping for a hard-to-buy-for loved one, do take a look. I've been inspired. Here are my picks for unique Father's Day gifts on Gifts Less Ordinary made using recycled materials. 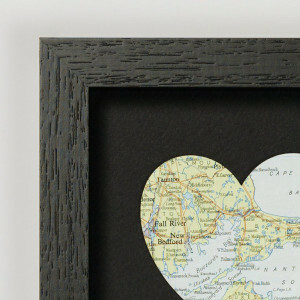 I've never been shy to admit I'm a bit fan of vintage maps and global maps used in fashion pieces. This sweet gift is hand-made in Kent. 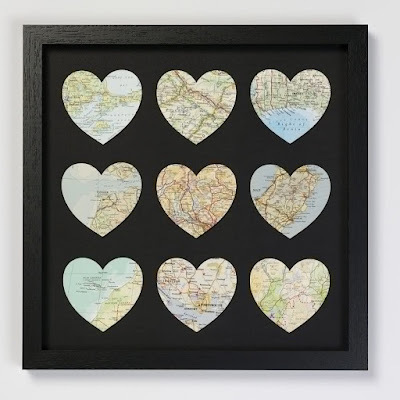 Choose destinations that are most memorable for your Father, and send off your order for a unique personalised piece of wall art to be made. Nine map hearts spefic to your order are cut out of vintage maps and are mounted and framed. Made in Nether Wallop (love it!! 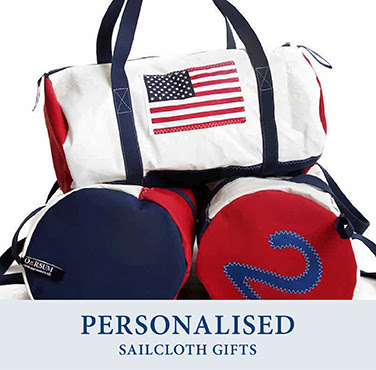 ), England, these practical weekend bags are handmade using recycled and new sailcloth with a canvas bottom. Adding to the oceanic feel of these bags, nautical rope is used to provide extra support and each product is stitched using the traditional sail maker zigzag stitch. Bags are made to order, and can be personalised with up to 3 letters and numbers on the reverse. 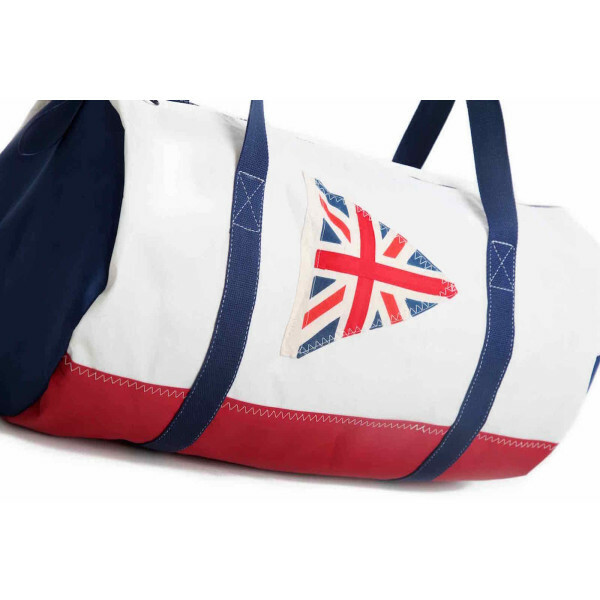 Satchels are made with a white background, red base, navy straps, red side ends and the Union Jack Flag on the front. Other flags are also available. 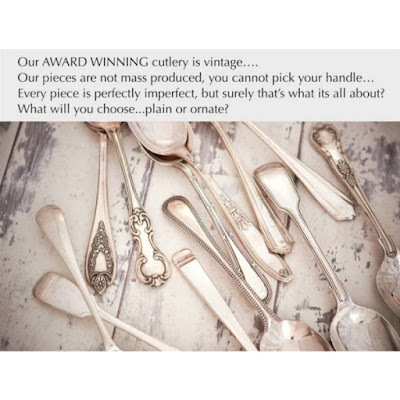 La de da in Gloucestershire in the UK source and collect vintage silver plated cutlery pieces. Big ol' spoons are then stamped with witty or personalised quotes that are special to your Dad. 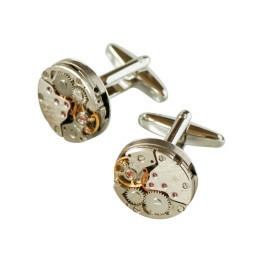 Nothing like a little steampunk inspired gift for your Pappa. If Dad wears cufflinks, these beauties are unique little accessories to have for his wardrobe! 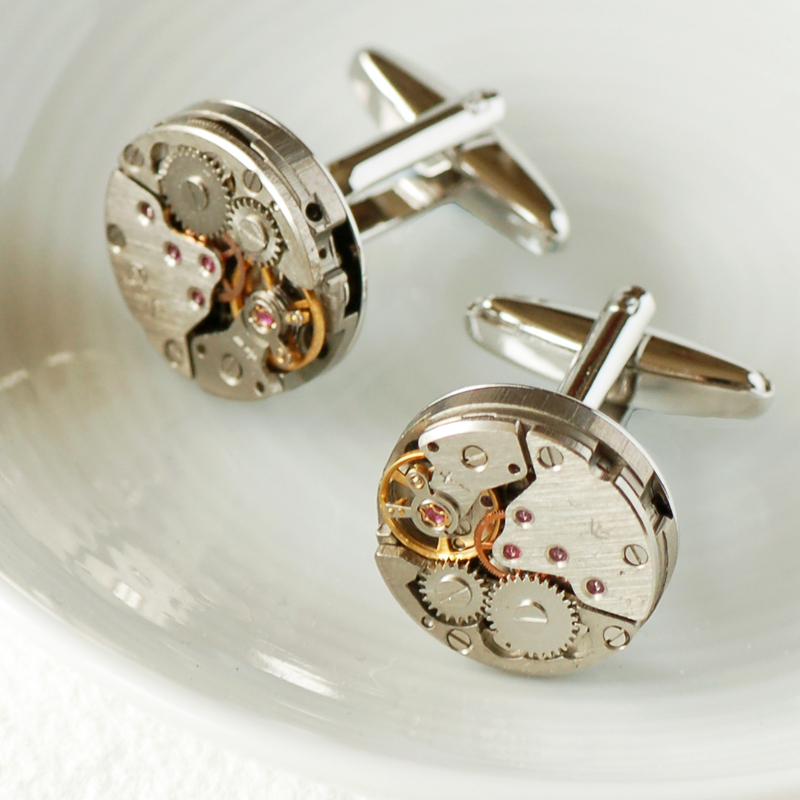 Each set of cufflinks is designed and made using the movement parts of old wrist watches. Order with a personalised chrome cufflink box and choose to have the wording of your choice engraved onto it. Disclaimer: sometimes I collaborate with companies I like and will publish a blog post for a small compensation. This is one of those posts.